This recipe for Crock Pot Pulled Chicken is one of those dishes that you will come back to again and again once you make it even once. 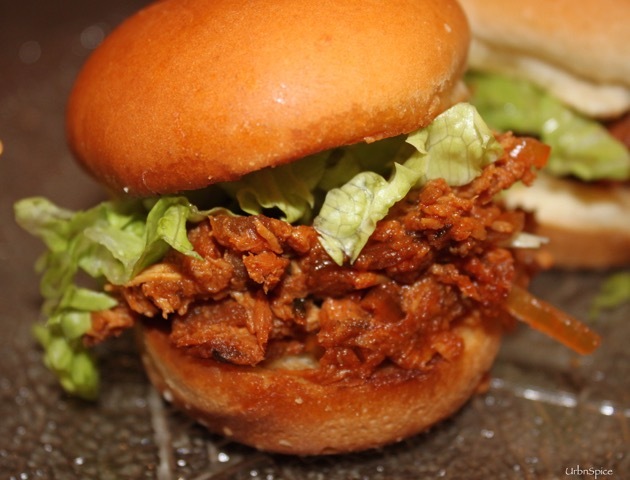 I have made pulled pork for years as it one of our family favourites. Making the dry rubbing, smoking, and the slow cooking process is a wonderfully satisfying process, not to mention the eating! 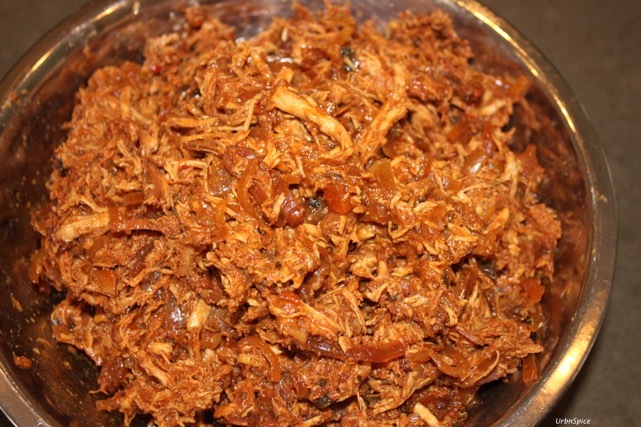 Then, I came across this recipe for pulled chicken – it is a much easier process and absolutely worth trying. CHEF TALK: This recipe is an adaptation from the Slow Cooker Bible. 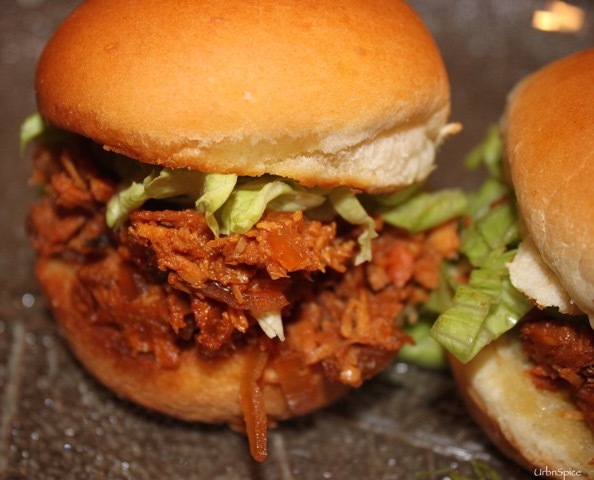 Give it a try: serve it on toasted buns with a side of slaw and you are in for a treat! This makes enough for a crowd of hungry folks. Cut the onion in half and slice thinly. Place into the bottom of the crockpot. Place the whole chicken breasts on top of the bed of onions. Mix all of the sauce ingredients together and pour on top of the chicken breasts, covering completely. Cook for 6 hours on low setting. The sauce will be richly coloured and thick. Return the chicken to the sauce and serve on toasted buns. NOTES: This CROCK POT PULLED CHICKEN recipe freezes well. I portion the pulled chicken into food sealer bags, vacuum seal, label and freeze. 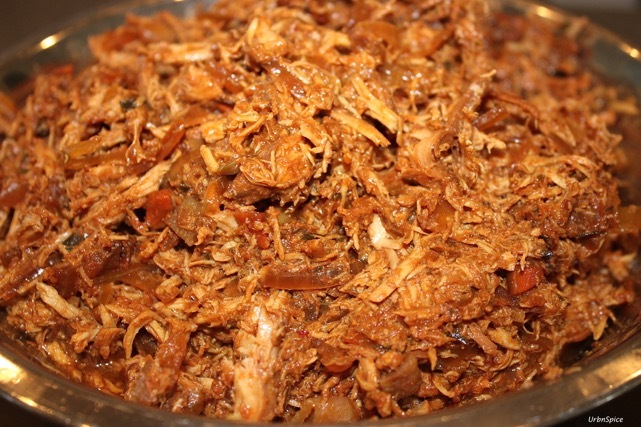 As always, if you give this recipe for Crock Pot Pulled Chicken a try, please come back and leave me a comment below with your feedback.